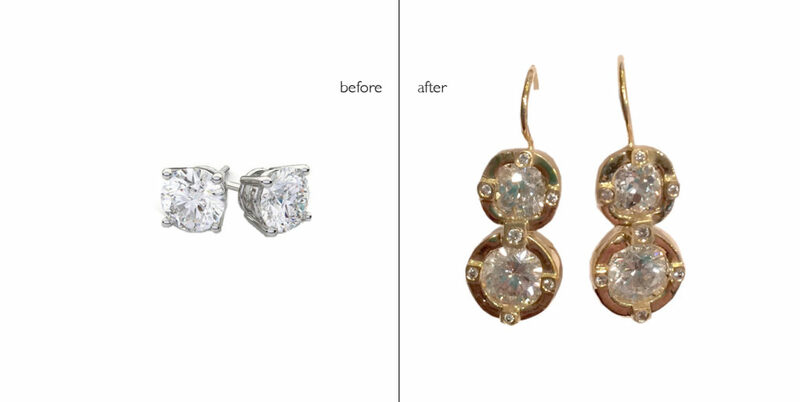 Adding on to simple diamond studs transforms these into earrings with double the impact. 18 karat. @ 2018+ Robin Koffler Jewelry. All rights reserved.